IT'S the role that gave Aussie actor Bernard Curry and his family a Hollywood exit strategy. It's also the job that got his agent fired. 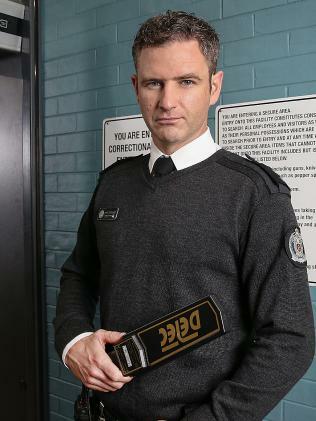 And three seasons into his star turn as crooked corrections officer Jake Stewart on hit Australian prison drama Wentworth, Curry wouldn't change a thing. With Wentworth into its sixth season and still riding a wave of success, Jake - unlike many of the show's characters - is still breathing, proving Curry's move has proved a winner. Even if there were a couple of awkward moments as he landed the role. It happened with not quite the ruthlessness to the degree of Curry's Wentworth alter-ego Jake, who uses charm and charisma on the surface to mask the duplicitous survivor at his core, but certainly it was done with Jake's trademark opportunistic streak. Curry, now 44, and wife Sonya had packed up and headed Stateside in 2010 on the back of his success on home grown dramas in Home And Away, Neighbours and hosting gigs including Beauty and the Geek. But they'd quickly realised the hard slog of chasing acting dreams in the City of Angels. He'd scored roles in pilots, booked jobs on shows including Pretty Little Liars, CSI: Crime Scene Investigation, NCIS and Blind spot, but it was a tough, tough grind. LA may be the place to be to make it big. It's also be a brutal treadmill of audition after audition, rejection after rejection amid a sea of similar hopefuls. 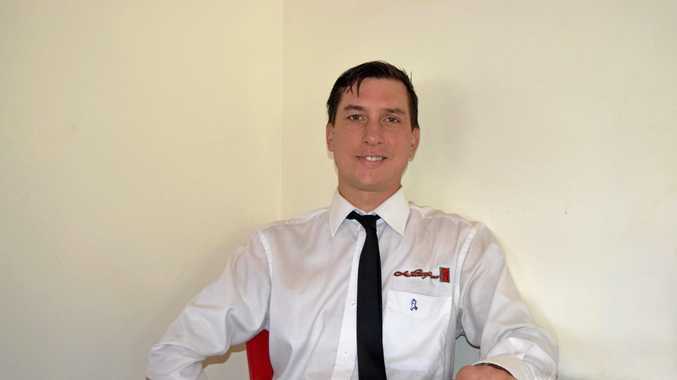 He was "sick of the grind", ready to give up the dream, and wanted to raise his kids back home in Australia. "We were thinking of an exit strategy from LA," he admits with disarming frankness. "I had told my agent back here to keep an eye out because we wanted to come back - basically with our tail between our legs, because it hasn't really gone as we expected." 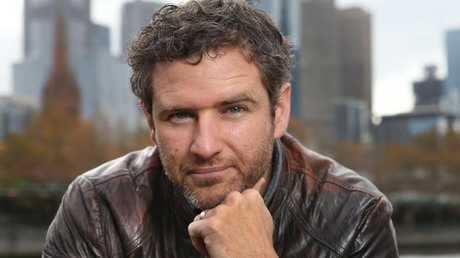 A call from fellow-Australian actor and great mate Jacinta Stapleton, also in LA trying her luck, was the turning point. "She was always my go-to for doing self-tape auditions, and I was hers," Curry says. "We'd do them at our place. To get a blank wall to film against, we'd have to move the baby's cot." Stapleton wanted Curry to read opposite her for a new character named Ally Novac on a show called Wentworth. As the pair laid down the audition, Stapleton mentioned there was another role on the show which Curry might be interested in: Jake Stewart. Looking at the character breakdown, Curry realised the role ticked all his boxes and wondered why his Australian agent hadn't mentioned it. He contacted Wentworth's casting director, asking to try for the role. "Naturally, it needs to be done tomorrow, so I ring Jacinta, say 'come back', we move the cot again, tape my audition, and wait," Curry says. Two weeks later, Curry's LA experiment was over. "I got the gig, Jacinta didn't," says Curry, a little shamefaced. "She constantly reminds me: 'I go you that role", he laughs. "I promptly came back to Australia and fired my agent and got myself a new one." He still wasn't sure what he'd signed up for, but three seasons on, Jake continues to deliver. As does Wentworth, as one of the biggest Aussie drama success stories of the decade. Six seasons into its run - and already well into the filming of its seventh - the series, based on a reimagining Aussie cult drama Prisoner continues to win critical and popular acclaim in Australia and abroad. 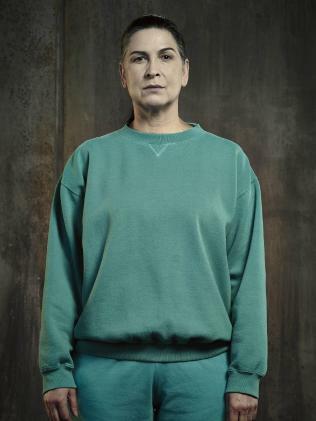 Puppeteer: Pamela Rabe as Joan 'The Freak' Ferguson. Picture: Foxtel. At the 2018 Logie awards, Wentworth won gongs not only for the peer-voted best Australian drama, but also for the viewer-voted most popular drama. Pamela Rabe made it a cult drama trifecta by winning the Logie for Most Outstanding Actor for her chilling portrayal of Joan "The Freak" Ferguson. "I can categorically say it's been one of the greatest experiences of my life," says Curry. "People like Pamela [Rabe], Kate Atkinson and Robbie Magasiva and Celia Ireland. These are all actors at the top of their game and I get to walk in and sort of dance with them, and call myself a peer to those guys." Currently, Jake is doing what he does best - keeping everyone guessing about whether there might be remnants of a good bloke buried under all the ruthless manipulation which saw him become the puppet of "The Freak". On The Freak's orders, Jake cultivated a relationship with prison governor, Vera Bennett (Atkinson) all part of The Freak's plot to destroy her. Somewhere along the way, Jake developed feelings for Vera. Now she's pregnant to him, but also knows it all began with evil intent. She, like viewers, are finding it impossible to know if Jake can be redeemed. Curry laughs that's the victory of playing a "shapeshifter". "We saw Jake at the end of last season and though "he does love her", and I think he genuinely does, but he's an opportunist," he says. "He's not a follower or a leader. He's a survivor and a shapeshifter; who forms into whatever he needs to be. "The Freak could do something with no empathy. Jake can cross the line if he needs to, but he feels the weight of those actions. "He does what needs to be done to get out of a situation. He feels the weight later." Flashback: Bernard Curry with Esther Anderson for Home And Away in 2009. Picture: News Corp.